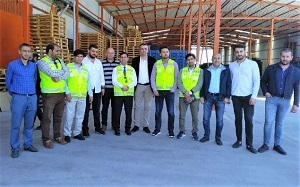 SESRIC is organising a Training Course on Designing and Engineering of Cold Storage and Hydroponic Greenhouses on 22-26 April 2019 in Mersin, Turkey, for the benefit of experts from the Ministry of Agriculture, Irrigation and Livestock (MAIL) of Afghanistan. Provided by Alata Horticultural Research Institute in Mersin, the training is organised within the framework of the OIC Agriculture Capacity Building Programme (OIC-AgriCaB) and aims to strengthen the Afghan cold storage chain for perishable products in consumer markets, facilitate the linkage between grower, traders and consumers, as well as help assure better prices for the market. SESRIC organises regular capacity building programmes in various fields for the benefit of the OIC Member Countries to enhance the capacities of relevant institutions.